Weight Loss Story: How I Lost 22 Pounds in 38 Days! You are here: Home / Fitness & weight loss / Weight Loss Story: How I Lost 22 Pounds in 38 Days! So you’re overweight, and you’ve been searching for a weight loss solution that can help you shed pounds overnight, right? My friend, please stop dreaming. Face reality. No weight loss pills, tea, or supplements can burn off your fats within days. Any product promising such results is a hoax. That’s the truth. I’m not saying that weight loss products don’t work. Some of them do. But even the effective ones won’t work without you following a good diet and exercise plan. So, stop searching for “miracle” fat burners. Get serious. Ask those who have successfully lost weight how they did it. 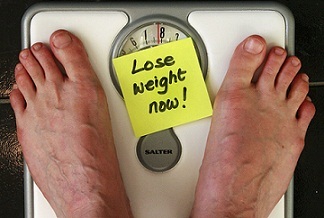 Read weight loss stories online and apply the tips you can learn from them. Because only proven tips that have worked for others will work for you, too. Some days ago, while reading the posts on Nairaland, a very popular Nigerian forum, I stumbled upon a thread, in which a poster (with the username, “002”) shared her weight loss story. She revealed that she was able to drop from 75kg (165 pounds) to 65kg (143 pounds) between September 20 and October 28, 2012 – a 38-day interval. The truth about weight loss is determination. You have to be patient. I started (my weight loss plan) on 20 September 2012 or so (I was weighing 75 kg then). For the first 3 weeks, there was no improvement. –Suddenly, my clothes started becoming bigger. Each time I checked, it was the same. I later decided to stop checking. I started working (I became more determined, more active, and I took the whole plan more seriously). If you really want to lose weight, then don’t eat out. Rather, cook your meals yourself as this helps you keep count of the calories you consume. –Then, my tummy was something else (it was looking flabby and ugly). But I didn’t give up. And now, my weight has dropped to 65kg. I’m working down towards 60kg, and I hope to get there by December 2012 or January 2013. I have totally avoided starchy meals, I replaced other drinks with water only, and I eat very early (I take breakfast very early in the morning and dinner at sunset, before nightfall). In addition, I eat fiber and fruits regularly, and I take fish instead of red meat or chicken. As for exercise, it’s good (as it keeps me fit) but I’m not sure it really worked for me (as a weight loss technique). But I go to the gym often. Also, I used slimming pills and took slimming tea, regularly. But most importantly, you need to check your calorie intake, and your meal timing. If you don’t check these, you’ll keep adding weight. In addition, keeping your old (smaller sized) clothes by also helps. You should keep testing them out until they fit well on you again. I try not to exceed 1,200 calories daily. I do a lot of walking and house chores. In fact, I’m so excited right now. And that’s why I feel I should share this to encourage someone. — 002, Oct 27, 2012. PS. You can read the original thread and post here. Determination is the first thing you need. Be determined. Avoid eating out. Cook your foods yourself. This helps you keep watch over your calorie consumption. Set a realistic weight loss goal. Plan for weeks and months, and not days. Avoid starchy meals as much as possible. If you must take starch, take slow-digesting carbs. Avoid fat as much as possible. Take your breakfast early in the morning, and take your dinner at sunset. Eat fruits and fiber-rich foods regularly. Take fish instead of red meat or chicken. Visit the gym (i.e. exercise) regularly. Keep your old clothes by. They let you know when you’re making progress. Be active. Don’t sit on a spot for long hours. Watch your calorie consumption and meal frequency. Read this article to learn more on how to make necessary adjustments to your diet, plus how to determine your daily calorie intake). Use slimming pills and slimming tea extracts for better results (but don’t expect much from them). So, you’ve just learned the tips that worked for a Nigerian lady. Apply them diligently, and they’ll work for you, too.